Dawn Ranch Lodge in Guerneville, California. I can't believe it's almost been a year since this wedding! 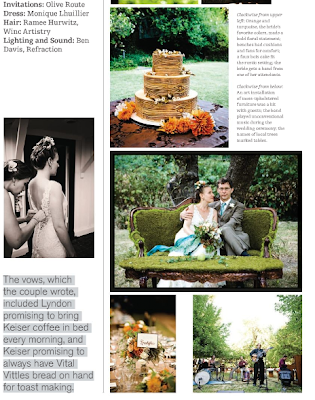 This lovely couple, Leigh and Andrew, whom I've had the pleasure to work with just had a spread on the most recent issue of the Fall/Winter SF Brides magazine. 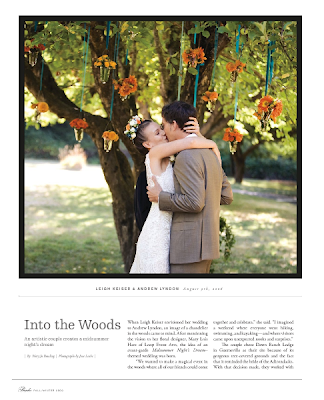 Planned by the talented ladies at Alison Events and photographed by Jesse Leake. No detail was overlooked--the faux bois cake, summer flowers, table setting...were stunning! 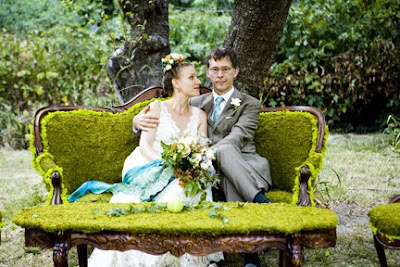 And the moss-covered furniture was all too perfect. 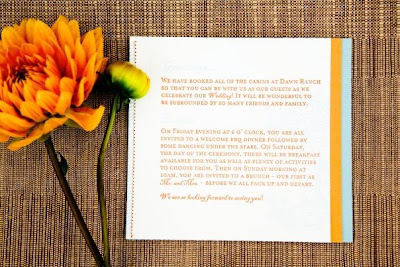 For the invitations, I drew most of my inspiration from the couple--they had great energy, both really talented and creative, and really down-to-earth. Andrew loved old book typography and Leigh gave me the color palette and the design just fell into place. You can click here for more pics of the invite set. Olive-Route is a design and letterpress studio located in Berkeley, CA. Check out the blog if you're looking for info on current projects, inspirations, and the latest shop happenings!